People often try to explain a horse’s actions by comparing and rationalizing them to how a person thinks. Though I exclude myself as an expert on horses, I have had the opportunity to observe their behavior and believe there is some definite difference in the characteristics of horses and humans. I will share some of the reasons to my conclusions and you can form your own opinion. After all a horse is the only expert on the horse. We can only have a second opinion, because the horse can’t confirm what any of us think is absolutely right. Horses have no value for material things; they have no greed. A dog will bury a bone to have later, a squirrel will store food for winter, and people store goods and valuables for later. People, probably more than any animals, are so greedy they hoard treasures and money they may never use. Horses look to satisfy their immediate needs. If they can find shelter when needed and satisfy their nutritional needs, they can be content. If they have stored excess energy, they have a need to exercise. When they feel threatened they respond with whatever means of self-preservation they feel is necessary. For hormonal reasons, horses, mares or stallions may be territorial and aggressive. 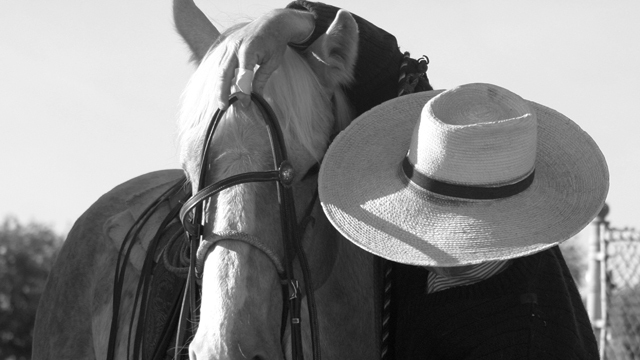 The larger share of the horse’s actions come down to these few basic needs. Horses don’t care what the Joneses down the road are doing. Their peers do not influence them; their appearance doesn’t change with the new styles. They grow long hair for the short days of winter and short hair for long summer days. Their decision making isn’t based on bettering their future, just taking care of the present. When you look at a lot of problems people have with their horses and really dissect the problem, it comes down to the person trying to satisfy their greed or cave into competition, to win a bigger buckle, to hear their peers brag on their accomplishments. And if they succeed, the person is a hero, but if they are unsuccessful, the horse has a problem that interfered. To an extent, this is the human nature in us. If we can identify it for what it is and address it accordingly, our horses may get along with us better. A person’s ego is probably one of the horse’s greatest enemies. In my personal experience if I recognize I am having a problem and then look where my ego is in the equation, then make whatever adjustments with a humble approach, things generally work out better. In working ranch conditions and performance horse competitions, sometimes the game may get a little uglier than we like. Sometimes sacrifices are made in the heat of the chase, but I still think you can evaluate the reasoning behind the sacrifice the horse made for us. Was it done to get from point A to point B, to get the job done that needed done the best way we knew how, or did we get aggressive trying to take a short-cut so we could save some time to spend somewhere else? Was this a thoughtful, long-term decision, or a selfish greedy decision for our short-term interest? Basically, horses are motivated by comfort, security, and in some cases by horomones, not by greed, self-assertiveness, or egotisms. Understanding horses requires a lot of work physically and mentally. The older I get, the more I try to exercise the mental and relax the physical, not being lazy, just conservative. 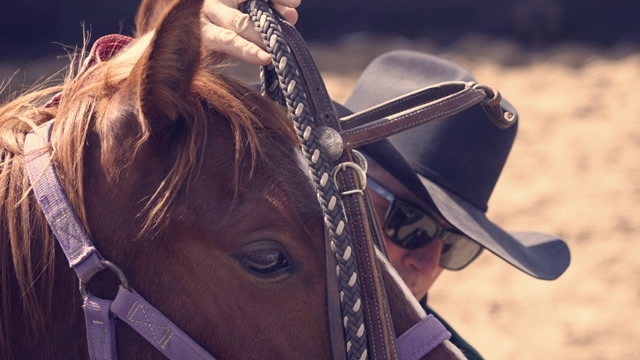 Riding horses can be very relaxing; understanding horses can be very challenging, frustrating and hard work, but the accomplishments can be very rewarding. Previous articleWhat Kind of Experience Will Your Horse Get Out of Your Next Ride?